I'm eternally in awe arthropods, one of nature's greatest success stories. These exoskeleton creatures are amazing in every aspect, to which I respect them greatly. 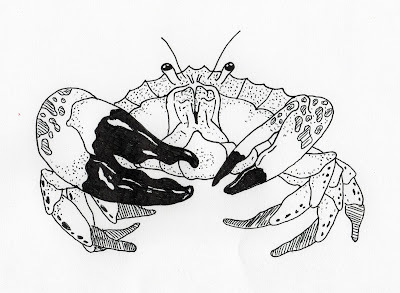 I've drawn the Tasmanian Giant Crab, perhaps the largest of all deepwater crabs. They inhabit the southern coast of Australia, growing upwards of thirty pounds!